Those chilling words ushered in a new look into what could be the future in the upcoming Star Wars film that hits theaters in December. In the closing moments of The Force Awakens, we saw The Rebellion finally locating the whereabouts of Luke Skywalker. Skywalker would go into self-exile after what seem to be a failure to train a new age of Jedis (one having turned on him only to go to the dark side). Rey would hand Luke his lightsaber and he turns around in a silently emotionally driven scene of the ages that left everyone with a topsy-turvy cliffhanger. Speaking of a cliffhanger, this past week during the 2017 Star Wars Celebration in Orlando featured a special panel with director Rian Johnson revealing a teaser for The Last Jedi. The anticipation mounted and when the teaser was unveiled the Star Wars universe were ecstatic to see what may be happening in the next installment. The teaser itself featured some amazing action sequences, a mysterious scene with Captain Phasma & Stormtroopers, Luke Skywalker, Rey, Finn, Poe, Kylo Ren, and General Organa. We also see a new star joining the cast in Kelly Marie Tran. During the Star Wars Celebration panel, Johnson would provide a bit of information about Tran’s new character, “[She] has the biggest new part in the movie and ironically is played by the smallest actor.” Tran would share her take on the new character, “She’s part of the Resistance, and she works in maintenance. 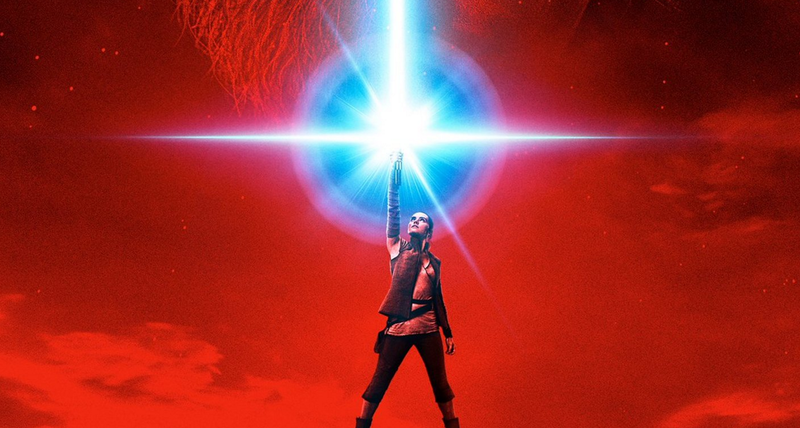 I can’t wait for you to meet her.” Another piece of news that came out along with the teaser came an amazing poster with Kylo Ren, Luke Skywalker, and Rey. Star Wars: The Last Jedi will be released on December 15th, 2017.